Do you sometimes find yourself wondering How hard can thinking be ? If yes, you’ll probably enjoy reading this article rolled out by Atheist Society of Nigeria. This particular article is about Creative thinking and to have a complete grasp of it, you might want to scan through the previous three on this blog. Creative thinking is the ability to think about new things or an old thing in new ways in a bid to solve problems. There is a common misconception that creativity is applicable to only the arts e.g. theater, singing, visual arts, fashion design, literary arts, graphic design, and music. Creative thinking is applicable to nearly any field of human endeavor, the natural sciences inclusive. The ability to invent a new diagnostic machine in the field of healthcare is brought about via creative thinking on the part of the inventor. A businessman who brainstorms with his employees in a bid to drive the company forward is practicing creative thinking. What are the benefits of creative thinking? · Creative thinking makes you mentally flexible and able to adapt to the ever-changing reality of the modern world constantly being disrupted by technological innovations. 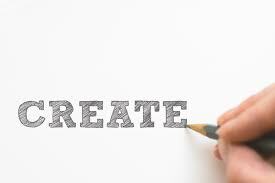 · Creative thinking makes you become a great communicator as you become better at expressing your thought processes. This will help you get what you want quicker and easier. · Creative thinking makes you a pleasant person to be around as your mind remains constantly open to new ideas. Where another person would perceive biting criticism, you perceive a new idea and a new way of looking at yourself, your surroundings, and life. Anyone can be a creative thinker and conceive new solutions to existing problems. How do I become a creative thinker? Becoming a creative thinker is not as hard as you might imagine. What makes it appear hard is an overestimation of the amount of effort required to get started and underestimation of the amount of pleasure attained from its constant practice. First of all, you might want to choose a personal problem (or a hypothetical one) to which you wish to apply creative thinking. After this problem has been chosen, you can choose to apply Lateral Thinking by Edward De Bono or SCAMPER Method to tackle creatively. I want to lose some weight. How do I go about it? · State the assumptions: Excess weight is bad for my health; it is more difficult to lose weight as I get older; I feel more beautiful when I’m slimmer. · What method will the typical person use? What if I can’t go that route? : The typical person will go on a diet & exercise regimen, alternately she might resort to drugs to lose weight. If I can’t go this route, I will use Core Values Eating to lose weight. · Question the question: Is it so important for me to lose weight? Who says I need to lose weight? Why do I even want to lose weight, anyway? · Start backward: If I want to put on some weight, I would eat mindlessly with little physical activity; I would take up a permanent night job; I would be careless with any medication regimen I’m put on for any underlying health condition. · Change perspective: If I wanted to tackle my weight issue from the perspective of a Data Entry Officer, I would download a Food Diary from Google Play Store on my mobile device in a bid to carefully log the quantity, size, and calorie count of anything that passes through my lips. This will help me to keep track of my food intake as most overweight people eat far more than they actually realize and admit to others. · Substitute: I want to have a healthy Body Mass Index and Body Fat Percentage. · Combine: I want to have a firm, lean, athletic-looking body. · Adapt: I would like to improve my protein intake in order to have less body fat and more muscle mass. · Magnify: If my excess body weight were life-threatening, I would go on a very strict diet like Ketogenic diet or Paleo diet as I sign up for a strength training class. · Put to another use: I could use my exercises to build up my stamina for my physical activities around the house. · Eliminate: If I found my strength training too exhausting and I wanted to remove it, I would be stricter with my diet as it is the single most important factor in weight loss and weight gain. · Reverse: I could achieve weight loss by 60% dietary efforts, 40% exercise. Or by 50% dietary efforts, 40% exercise and 10% nutritional supplements. 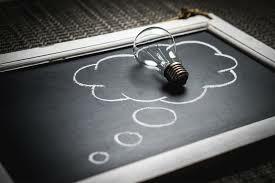 A quick Google search on the term Creative thinking will yield lots of results that for the sake of brevity cannot be discussed in this blog post. Creative thinking is a process you would do well to practice every day until your mind has fallen into the thought patterns of these questions. Then the application of creative thinking to any problem you encounter will be automatic. Which other methods of creative thinking do you know of? Remember to like, share across your social media platforms, leave your insightful comments and bookmark for future reading.